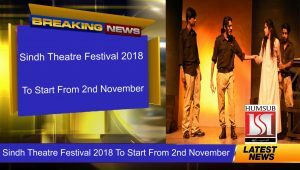 Sindh Theatre Festival 2018 To Start From 2nd November: After receiving overwhelming response in the past two years, Sindh Theatre Festival is all set to commence from next month (November 2nd) at Arts Council, Karachi, and will run till November 18. The 17-day festival promises a cultural adventure and will feature 10 Sindhi plays and 10 Urdu plays during this time. “Cultural Ministry of Sindh and Arts Council of Pakistan Karachi present Sindh Theatre Festival 2018. Come and join us as we take you on a cultural adventure of a lifetime where Pakistan’s best theatre directors will present 10 Sindhi and 10 Urdu plays for you,” states the festival’s official Facebook handle. Some of the plays that will feature at the Sindh Theatre Festival 2018 include Anwar Maqsood’s political satire Kyun Nikala, Khalid Ahmed directorial Jasoosi Duniya that marked Saman Ansari’s theatrical debut and Sheema Kermani’s Rang Badal Lo Bhai among others. 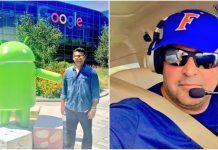 Other high profile names to feature include Sunil Shanker and Zain Ahmed. Free passes for the festival will be available after October 25 at Arts Council, Karachi. Earlier this month a 6-day Tenth International Children Film Festival, 2018 was held at the Cinepax cinema in Karachi. The event held with the collaboration of Lal Art Organization. 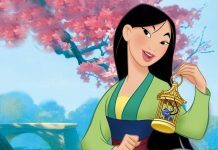 The organizers received over three hundred children movies from the different countries to take part in the said festival. Out of which, thirty six movies were selected for competition. National Institute of Folk and Traditional Heritage has announced to hold ten-day ‘Lok Mela’ at Lok Virsa Complex, Garden Avenue, Shakarparian. The festival will be started on the 2nd of next month. The aim of the festival is to promote provincial harmony and national integration by reviving endangered folk arts, crafts and music. Hundreds of master artisans, folk artists, rural musicians and folk dancers from all over Pakistan including remote and far-flung regions would participate in the festival.